Brompton SW7 Handyman Decorating & Painting| RDA Cleaning & Maintenance Ltd.
For decent, competitive and quick plumbing, carpentry, painting & more Brompton SW7 services you can always rely on RDA Cleaning & Maintenance Ltd.. We work 365 days per year without making any exceptions for weekends or national, religous holidays. We have a wide coverage - including Greater London. Do not hesitate to call us for same-day or emergency reservations, either. Once you contact our handyman consultants, they will arrange with you a preliminary visitation by the technicians. 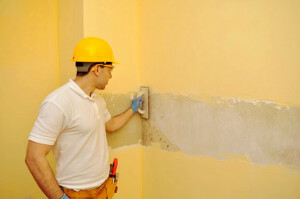 The technicians are skillful, insured and well-trained. If you have a concrete task for the handyman technicians, let us know via telephone call or through the online booking form. We can immediately give you free quotation and a date for the visitation. Dear customers, we expect your handyman orders! Call us on this phone number 020 3404 1646 at any convenient for you time! Book the best handyman services Brompton SW7 in town today!